Password Safe 3.48 Portable » TopFreeSoft.Net - Best Freeware Software! 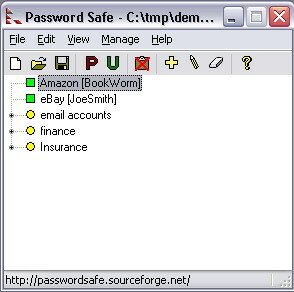 Using Password Safe you can organize your passwords using your own customizable references?for example, by user ID, category, web site, or location. You can choose to store all your passwords in a single encrypted master password list (an encrypted password database), or use multiple databases to further organize your passwords (work and home, for example). And with its intuitive interface you will be up and running in minutes.